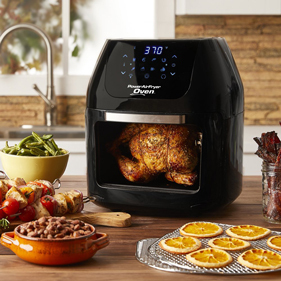 Introducing the Power Air Fryer Oven. The full oven that can fry up to 75% more food than traditional air fryers. The secret is the stainless-steel air flow racks and 1700W of rapid air technology that rapid fries which a whirlwind of super-heated air for that great crispy fried taste without all the added fat and calories.